Whether it’s a simple Earl Grey or a unique herbal option, tea drinkers are spoiled with variety. Drink it hot, drink it cold, drink it when you’re sick or drink it to kick off your day. Its versatility is one of the reasons why it’s so beloved. From hot cups of breakfast tea on a chilly fall evening to a refreshing iced tea on a sultry summer afternoon, these Oklahoma tea shops have just what you’re looking for. This tea shop specializes in gourmet teas, with 30 healthy Korean specialty drinks. Hot drinks are made by Tea-Baristas who can help you find the blend that you’ll enjoy. The Black Royal Chai comes highly recommended. The desserts are pretty good, too. Enjoy a cup of fresh-brewed tea at this café and take your favorite blend home with you. 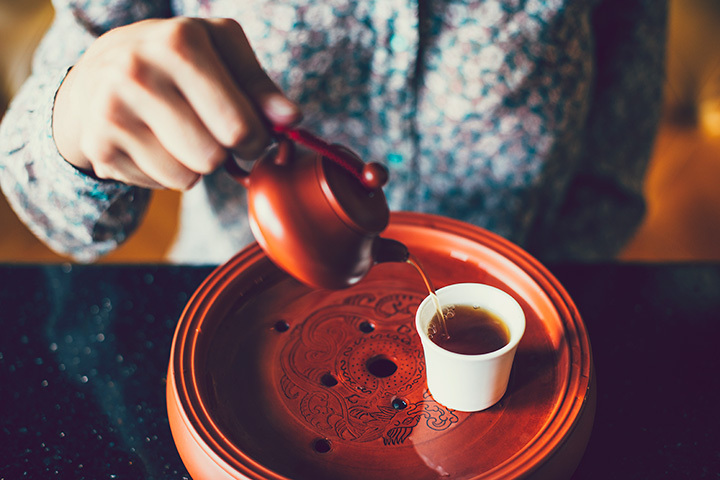 Explore some wonderful flavors of tea from around the world. Enjoy a classic tea served with soup or salad, finger sandwiches, scones and curd, along with a pot of hot tea. The shop has a large variety of teas that can be brewed for your meal. Go traditional with an English Breakfast blend or choose something exotic, such as the Lung Ching Dragon Well, a green tea with a light, sweet finish. Woodshed responsibly sources and curates their tea blends. They use high-quality brewing equipment to provide a perfectly balanced cup that isn’t too bitter from being over-extracted or isn’t bland from under extraction. This tea shop uses organic teas that are 100 percent natural. You can enjoy a cup in the shop or let them make you a gallon of tea to take home. There’s a lot of information about tea and wellness on their blog, so if you’re new to the tea scene, check it out. You’ll find a large selection of loose teas at this gourmet store to take home and brew yourself. The Champagne Raspberry White Tea is a delightful blend that you can enjoy after work to relax and unwind. This little shop at the Artesian Hotel offers delicious aromas and wonderful customer service. You can smell the tea before you choose which blend you want to enjoy. Sit outside and drink a cup before you take your favorite type of tea home. This tea house features 65 different blends of teas to enjoy before a float session or at any time. Savor one of their four chai blends that is perfect for winter sipping. DRIP carries a good selection of teas, from green tea, oolong, matcha and herbal teas. Enjoy the sit-down coffeehouse experience with a steaming cup of hot tea in Tahlequah’s only culinary coffee shop. This coffee shop only has a few blends of tea, but it does carry specialty varieties such as Roobios, chamomile and green tea.